You guuuuyyyyyyys, of all of the cakes I've made on this site, this one wins the award, hands down, for most surprisingly miraculous. It's just so simple to make, and then it ends up tasting like something you might get at a Michelin-starred restaurant. But perhaps you know about this miracle cake already? 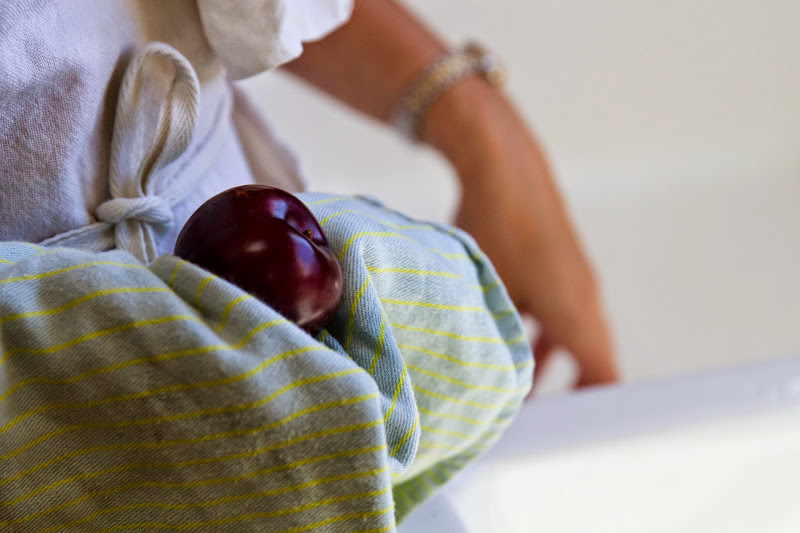 Because according to Deb at Smitten Kitchen, the recipe was "first published in the New York Times by Marian Burros in 1983... and was published every year during plum season between then and 1995." I love this fact for so many reasons, but mostly because I feel like we don't see that kind of repetition in today's popular culture. Like, what if I posted this recipe every year at the end of August or September? 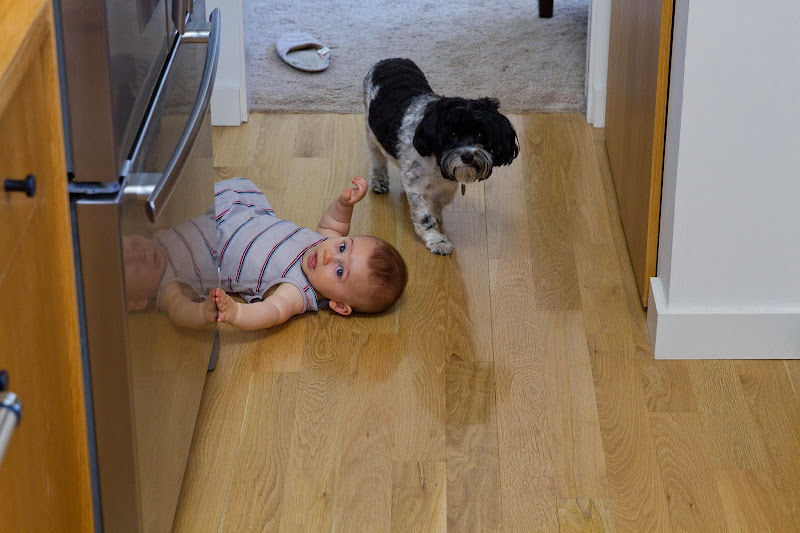 You guys would probably be like: Wow, Amelia really let motherhood get the best of her and her brain. Oh, and one more thing, this cake is even better the second day. In fact, Deb recommends not even slicing into it until day two! Matt and I couldn't do this, as we shared a slice a few hours after pulling it from the oven, but something does happen to it by day two. 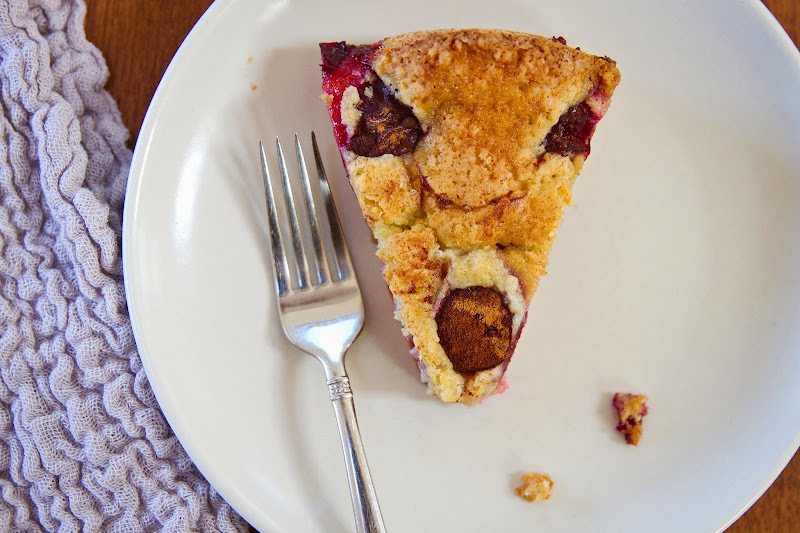 All those plum juices absorb into the cake, and well, what more can I say? It's a really special cake; there's a reason the NYT ran the recipe for 12 years straight! In other news, my mom gets in tomorrow! YAYYYYYY!!!!! Headed to my Farmers Market TOMORROW!!!! 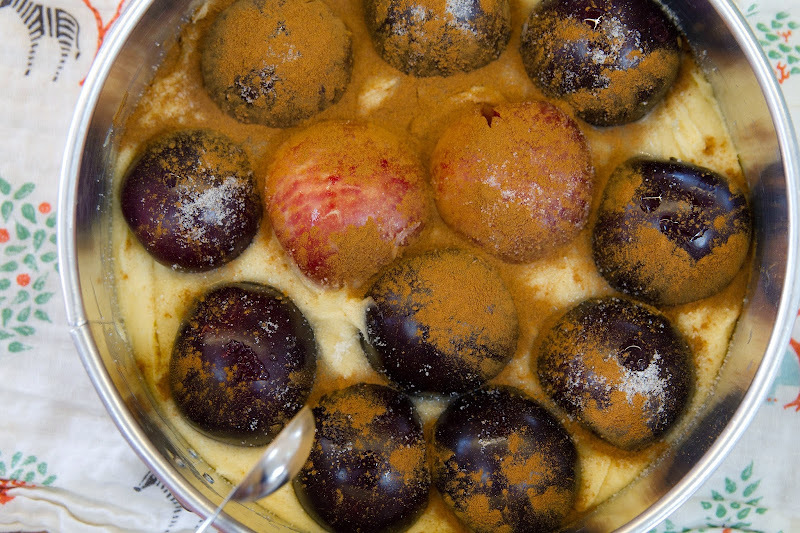 I've been wanting to make a plum dessert lately. Definitely going to tackle this on the weekend. I have a possibly dumb question. 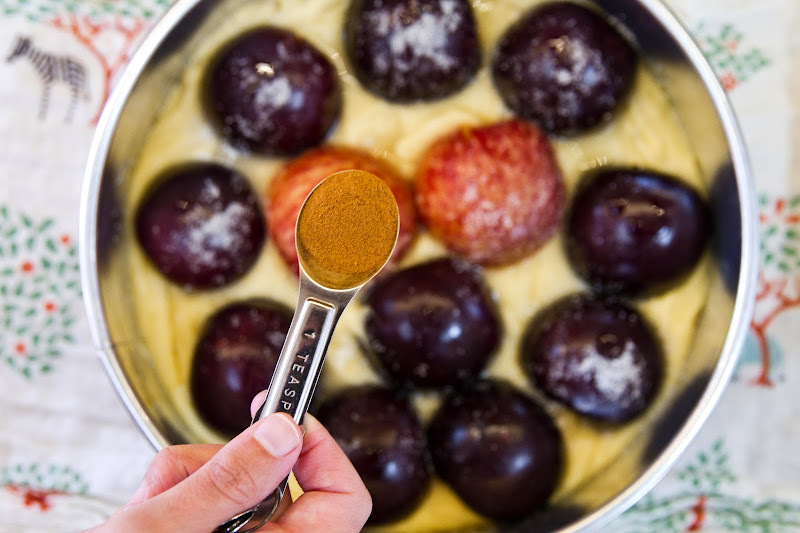 Do you pour more batter on top of the plums? It sort of looks like there is a lot of cake on top of the them in the finished photos. Or is that just the batter around the plums that has risen and ... spread out? 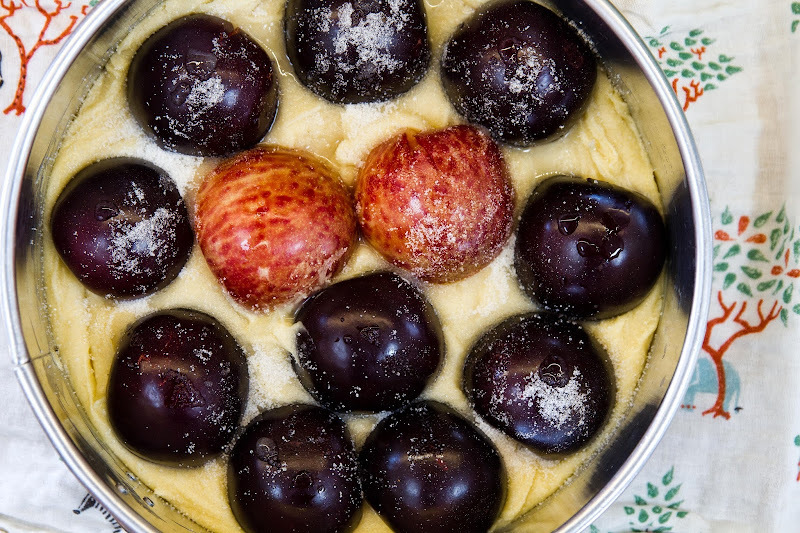 The batter just miraculously rises up around the plums! Enjoy!! hahaha me too, I think! I need to make this at least two more times before the season is over. Would it be a culinary travesty if I did not bake in a spring pan and opted for a round pan? I am not sure of spring pan status in my house, but I can get one if it really makes that much of a difference to the cake. It looks so good, I can't wait to make one for my family. I think a non-spring pan will do fine. You may not be able to lift the slices out of the pan as easily but it should taste just as delicious. Enjoyyyy!! This cake was so good!! It did NOT last til the next day. Our slice lasted about 10 minutes on our Kitchen counter. this is exactly what i want to eat on both day one and day two! I have 12 Italian plums sitting on my counter...kismet? The perfect cake ...I made it for a dinner party last night. Amelia, I love the mottainai tea towel! Where'd you get it? Hi Candice! So glad you made the cake! I got the tea towel at one of the sweetest little shops in LA: http://www.newhighmart.com Hopefully you live nearby? Took this cake on our annual Big Sur camping trip. Traveled well and it was a big hit! Do you think I could make it with peaches or nectarines? So I may have made this and it may have been amazing. Also, my sister and I are obsessed with you. And we LOVE Teddy. Mom happened to have a bushel of plums at her house and I happened to have had a deep desire to make this. It was a hit at dinner and resulted in my making two more the next day! Definitely great as breakfast the next day! Don't throw any booze on it like my dad did. Overwhelms the tastes! This is Mary Anne's Mom! 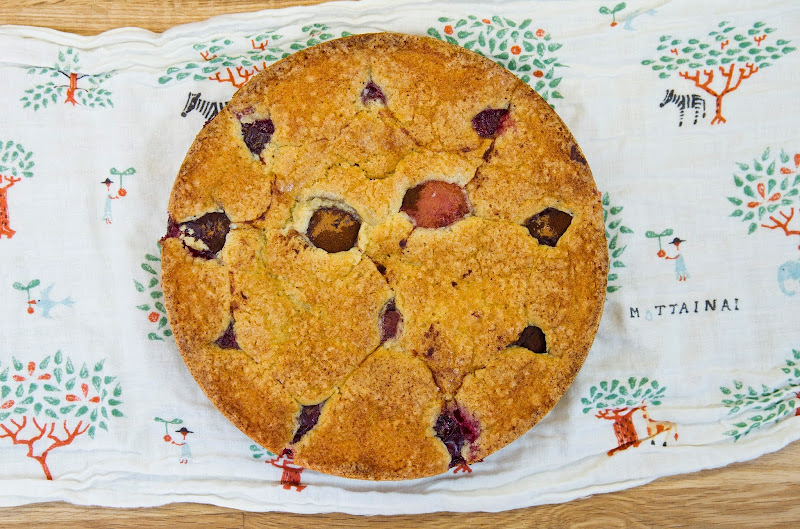 I made the plum cake and served it to a group who gave rave reviews. I was delicious!!! made this last night. foolproof and perfect. can't wait to try it again in september when plums are even plummier! also considering a breakfast version with some more whole wheat flour, oats, maybe some nuts, but then i'm like.. is that presumptuous? am i worthy of messing with this perfection? answer is probably no. 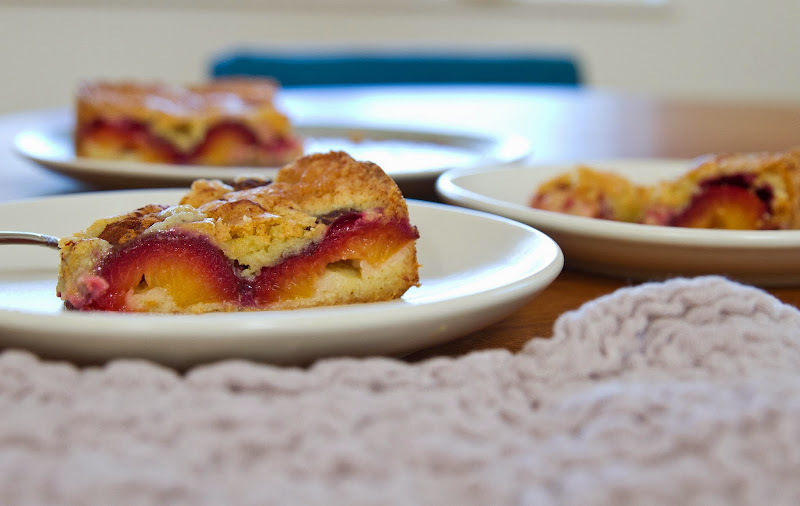 I made this again this year after a coworker saw plums in the grocery store and was like, "Kaitlin, remember that cake you made last summer? Well... It's plum season again... " Huge hit.